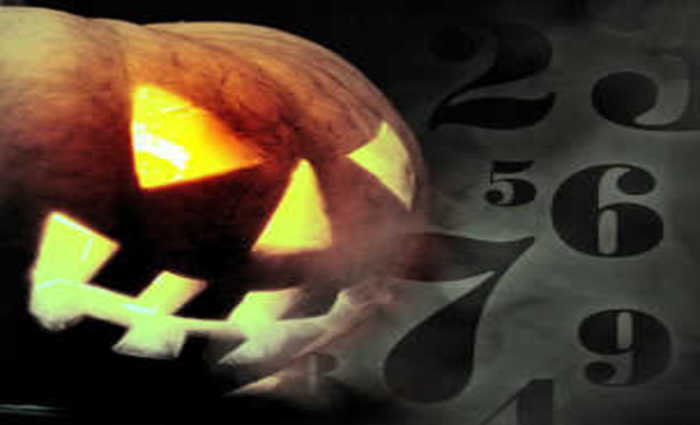 Each Halloween, some familiar freaky faces reappear to set the tone for a night of trickery and treats. Whether these monsters are spawned from legend, literature or actual events, their reputations precede them. And thanks to Hollywood, these creeping creatures will always be infamous! Between them, Frankenstein, Wolfman and The Mummy have had dozens of films created in their honor. But are these creatures truly evil -- or did they simply get a raw deal on screen? We're digging up the Numerology of their names to get to the real nature of these notorious villains. The gigantic green-faced ghoul has always been misunderstood, starting with his name. 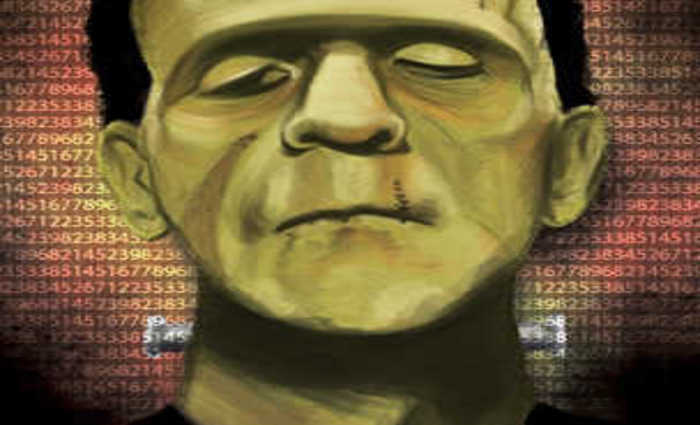 "Frankenstein" is actually the doctor who created him, and the brute was more correctly known as "Frankenstein's monster," but only the first name stuck -- so this is the most useful name to use in his Numerology profile. Frankenstein has had a bad rap since some of his earliest on-screen appearances: Hollywood generally depicts him as a hulking man-child bent on wreaking havoc on the human world that won't accept him. Most of us know him as a freak of nature made from the parts of dead people -- the result of Dr. Frankenstein's desire to "play God" and create life. But Frankenstein's Base Vibration Number, 8, busts this stereotype -- no mindless killing machine would be an 8! However, 8 does describe the Frankenstein of Mary Shelley's 1818 novel, Frankenstein; or, the Modern Prometheus. Here, Frankenstein is hardly a monster at all but a large, deformed being abandoned by his creator. Frankenstein shows true 8 determination to go out and make his way in the world, but as the world rejects him, he directs his hatred at the man who created him. With the karmic 8 streak driving him, Frankenstein becomes villainous, murdering his creator's loved ones. 8s are known for their unshakable motivation and they're hell-bent on karmic balance, spurring Frankenstein to follow the doctor all the way to the North Pole, where both "men" meet their ends -- but only after Frankenstein gives an eloquent speech about his life of suffering. While legends surrounding werewolves are ancient and span several cultures, the most famous story of one such shape-shifter dates back to a 1941 film. The Wolf Man follows young Larry Talbot as he returns to his family home and hears local folklore about the wolfbane plant's ability to turn good men into wolves. Larry soon encounters and kills a werewolf, but is bitten in the process, thereby inheriting the region's curse and becoming a werewolf himself, destined to roam the area as a vicious "manimal" until he is killed by his own father. The true nature of Wolfman isn't hard to guess: he's a hapless victim who was in the wrong place at the wrong time. But as he runs rampant in lupine form, is he a blood-lusting murderer wracked by guilt at not being able to conquer his animal urges, or does he enthusiastically morph into the beast the curse has forced him to become? Judging by his Base Vibration Number, 5, Wolfman completely goes to the other side. After he's killed, his body reverts to human form; until then, however, he takes on the 5's energetic and "off-the-grid" lifestyle with verve. 5s prize freedom, and what could be more liberating than shedding human skin and fearlessly bounding through dark, treacherous forests? 5 is a number associated a more unconventional way of life, like, say a man-eating creature of the night! With mummification a once-popular practice, it's no wonder the image of a thousands-year-old corpse, preserved for the ages, would ignite our imaginations ... and flame our fears. Countless horror films have drawn on the idea that if mummies were created with the intent of being brought back to life, it isn't so far-fetched that one would rise from the grave in modern times! There are at least four different films with The Mummy as its titular character, but the most enduring flicks center around a resurrected Egyptian priest named Imhotep and his obsessive desire to find and resurrect his lover. In some versions, after the mummy Imhotep is awoken by archaeologists, he disguises himself among the living and attempts to both bring his lover back to life and entrap a woman who looks just like her. In other versions, Imhotep is resurrected and unleashes evil forces out of revenge for being separated from the woman he loved. Ultimately, he is defeated and he crumbles to dust. So is The Mummy a bitter entity from a bygone era, fixated on reclaiming his lady's hand (or, failing that, summoning ancient evil)? Or is he a lovelorn victim, forced into an unfamiliar world where he has no choice but to cling to the only attachment he's ever known? His Base Vibration Number, 4, suggests that true love never dies, even when your heart is embalmed in a jar outside your body. The 4 is determined and constant with enough down-to-earth strength to make a relationship work ... even when it involves ancient spells. So frightening and ruthless though The Mummy might seem, his grudge is a romantic one, making him a less frightening Halloween foe! Halloween is a time for candy, costumes and all things creepy and weird. This ancient celebration wasn't always that way, though.